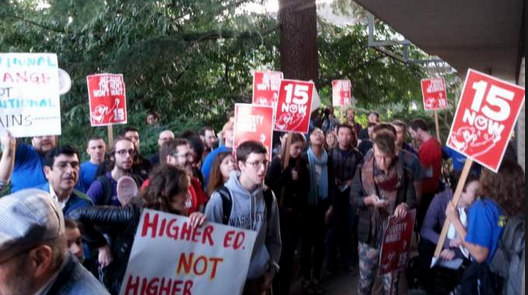 $15 hour VICTORY for University of Washington Workers! 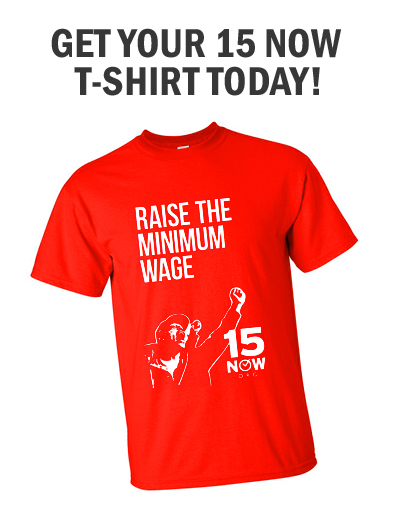 Another victory in the movement for a $15/hour minimum wage! The University of Washington will raise the wages of all workers, including student workers, to $15 by 2017. The University of Washington is the biggest employer in Seattle, but UW was refusing to follow the citywide minimum wage law passed in June 2014 until Reclaim UW, a coalition of student groups and labor unions, organized to pressure the administration. Last year, Northeastern University in Boston passed a student-led referendum supporting $15/hour for all campus workers. Both victories highlight what can be achieved when campus workers, labor and students organize for their right to a living wage. Our work doesn’t stop here. UW says the change will affect 5,500 workers, including about 3,500 student workers on the Seattle campus. We still need to fight to make sure UW follows through on $15/hr for all UW workers, and to grow the movement on campuses nationwide!